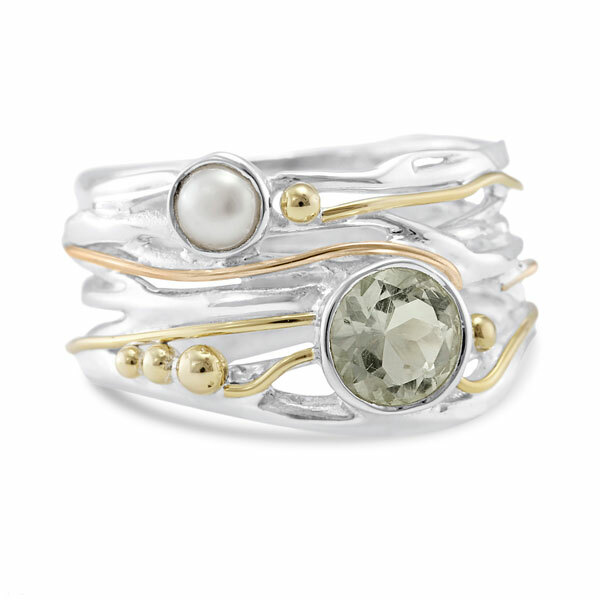 An elegant, softly toned silver ring set with a Green Amethyst and Pearl. A flowing silver ring set with a lovely soft green, faceted, circular amethyst and a freshwater pearl. Overlaying the silver strands are swirls of gold filled wire.